The Page 69 Test: "Seriously Wicked"
Tina Connolly is the author of the Ironskin trilogy from Tor Books, and the Seriously Wicked series, from Tor Teen. Ironskin, her first fantasy novel, was a Nebula finalist. A tall, weary boy was slodging through the crowds milling around the front door. It was the weirdest thing, but when I looked at him the first time, it looked as though his hair was completely black. But it must’ve been the way the shadows and backpacks moved, because when he looked up and saw us, he was his normal blond boy-band self, except very very tired-looking. His face cleared at the sight of me. “Cam,” he said, and then stopped. He blinked and swayed on his feet, like he was too tired to think of words after that. His jeans were muddy and his T-shirt sleeve was torn. He was carrying a cardboard box, also muddy, with little bits of stalks and grass stuck into the mud. A leggy lump on the top looked like a squished water bug. For answer, he lifted the flap of the box about a half-inch. I peered in, and through the light from the airholes punched in the top, I saw a hoppy mass. For a moment I thought they were frogs, but then I saw that the little green blobs had wings. Sparkly green wings that winked in and out of sight like lighting bug bellies. “One hundred. . .?” said Jenah. In Seriously Wicked, sweet boy-band boy Devon gets taken over by a demon. Our heroine Cam has to try to get the demon out of Devon before he's stuck there. Page 69 is kind of fun because it shows everything Cam has to deal with while she's trying to stop the demon from taking over Devon, and the witch from taking over the world. Visit Tina Connolly's website, blog, and Twitter perch. 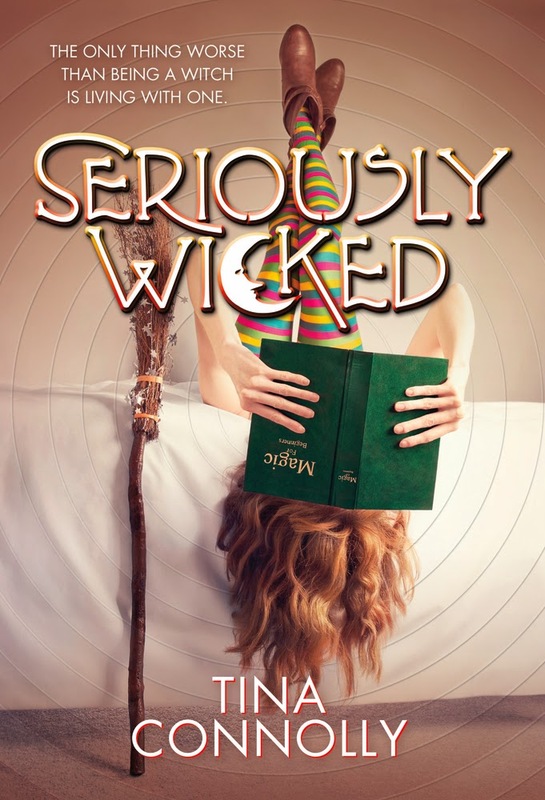 My Book, The Movie: Seriously Wicked. "The Life and Death of Sophie Stark"
"The Huntress of Thornbeck Forest"
"Deadly Desires at Honeychurch Hall"